2014 proved to the most important year in Xiaomi's corporate history thus far. Thanks to stellar releases like Xiaomi Mi3, Redmi 1S, and Redmi Note, the disruptive Chinese electronics company was able to wrap up last year as the third largest smartphone maker in the world (before Lenovo's move to include Motorola sales in its total figures). Interestingly, however, Xiaomi's 2014 flagship model itself - the much-talked-about Mi4 (announced in July) - didn't particularly match (or at least, not yet) its predecessor's contribution to the pie as the company has seemingly held back on marketing and releasing it in other territories apart from China for reasons we may know nothing about. In the Philippines - for instance - even whilst Mi3 and Redmi 1S proved to be tremendous sellers, the Mi4 remains illusive; Only available for order at specialty shops. As of writing, Xiaomi hasn't issued a statement about the handset's official release date and pricing information in the country. That's why when one of my readers emailed me last night that details about Xiaomi Mi5 - the supposed 2015 top-of-the-line release superseding Mi4 - are already being leaked online, I was baffled. 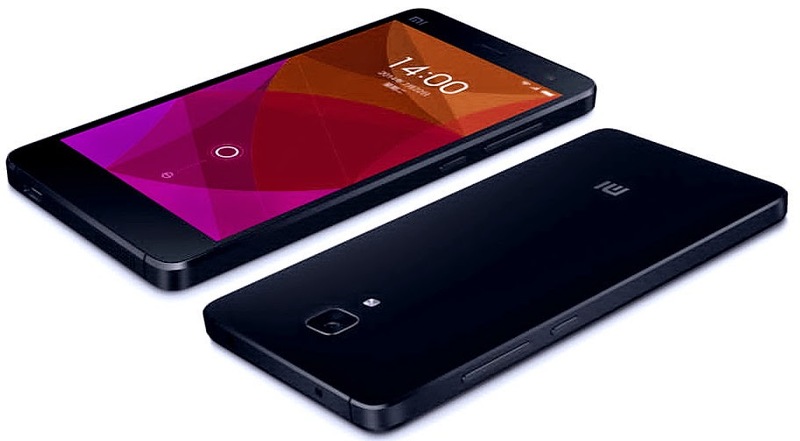 "Sir Mark, Xiaomi - they say - is already poised to release the Mi5 early this year," he told me. Is Xiaomi going to skip releasing Mi4 in the Philippines and in other key markets and go straight to launching the Xiaomi Mi5 instead? Well, I hope they release both devices here and make the former far more affordable. Let's talk about specs. According to reports and rumors, the Mi5 will sport a massive 5.7-inch Quad HD 2560 x 1440 pixels IPS LCD display panel protected by sratch-resistant and shatter-proof Sapphire crystal touchscreen. At the back, users will find a 20.7 MegaPixel camera with Dual Tone LED flash and Sony Exmor RS sensor similar to that of Meizu MX4 and Sony Xperia Z2. Under the hood, the phablet will handle multitasking with 3GB of RAM, have 16GB of internal storage, and run its MIUI-skinned Android 5.0 Lollipop OS with its 64-bit Octa Core Snapdragon 810 SoC incorporating four ARM Cortex A53 cores, four A57 cores, and an Adreno 430 graphics chip. In terms of design and construction, insiders say that the 2015 flagship will simply look like a larger version of the 5-inch Xiaomi Mi4 with ultra-thin display bezels, real metal frame, and swappable back covers. TP Friends, kindly note that these are all merely speculations about the Mi5 so we would all do well to take these with a grain of salt. Nonetheless, the Chinese handset maker is expected to formally introduce either this particular handset or the Xiaomi Redmi Note 2 at this year's CES in Las Vegas happening on January 6 to 9, 2015. Exciting!